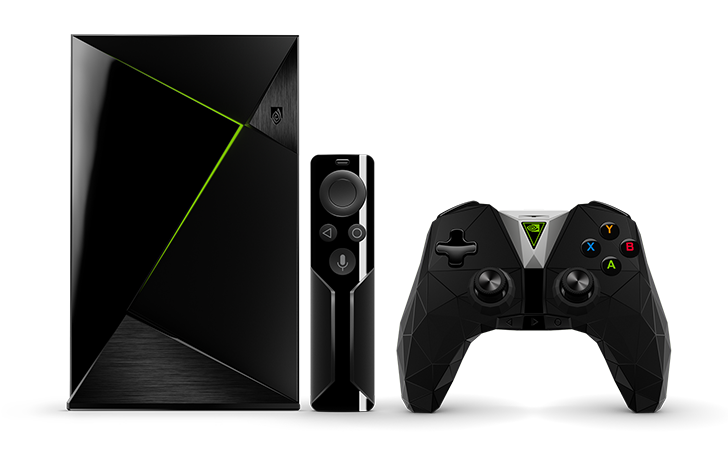 NVIDIA already does a lot of things right by its users from providing timely Android version updates to keeping the software as clean as possible and even staying at the forefront of streaming services and options. Now, it's taking one more step toward conquering your heart as one of the best Android OEMs by launching a new SHIELD Preview Program where you can test upcoming features of the SHIELD Experience Upgrade software before they roll out to the public. The company already provides SHIELD Developer OS Images (where beta versions used to be available) and was running a SHIELD Experience Preview program that was closed last year, so it's not the first time it has done something like this. HBO's online and app-based streaming options are surprisingly competent - they put the likes of DirecTV and Comcast, much larger organizations with ostensibly more resources, to shame. But that doesn't mean that there's no room for improvement. To that end, HBO is now publishing a beta version of, um, NOW, the cable-free standalone app for streaming cordcutters. It's available on the Play Store now via the standardized opt-in interface. Honor 6X owners, pay attention. 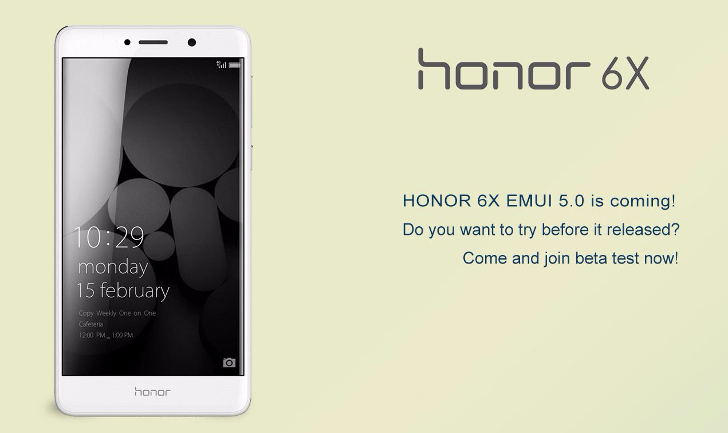 Huawei has announced on its Honor Twitter account that it has opened up Nougat/EMUI 5 beta testing for the phone. Signing up only requires you to email your IMEI number(s) to the address in the tweet. Back in November, Samsung started beta testing the Nougat update for the Galaxy S7 and S7 Edge. Since then, it has rolled out several updates to squash bugs and answer feedback, but it looks like the beta test is now over. 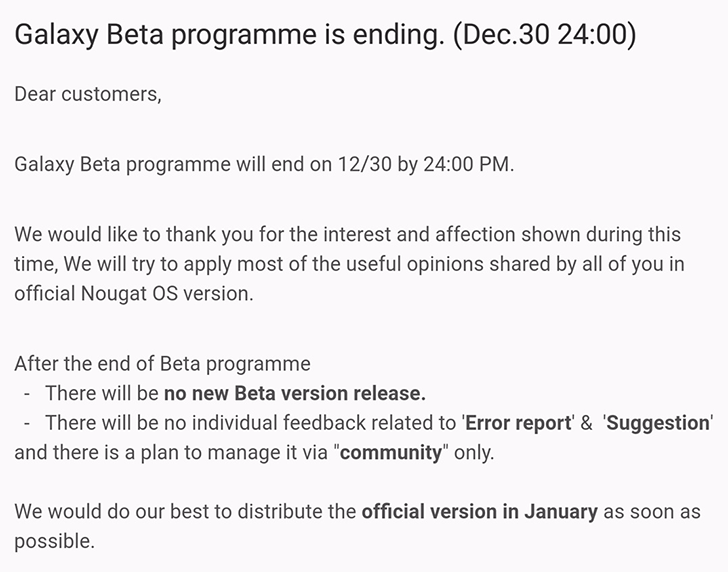 The team posted a notice to those who were participating in the beta program saying that it will end on December 30 at 24:00 (so December 31 at 00:00). Update by Artem: Ever since we posted this article on May 23, the Beta tab has been slowly rolling out to more and more people, and we continue getting tips about it daily. 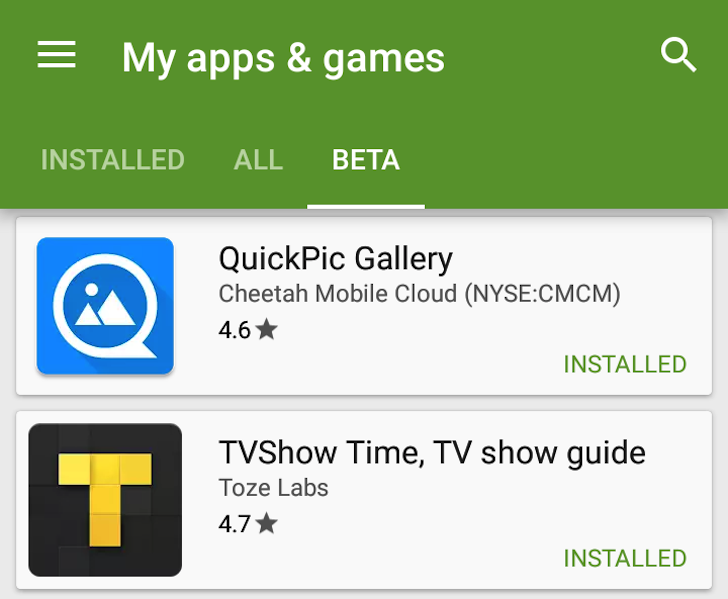 Last week, the Play Store rolled up some beta testing features in its version 6.7 update, but they quickly disappeared as Google reverted them back in a server-side change. The company later announced these features at I/O as part of a series of improvements to Google Play that also include lots of developer console changes. Now it seems that the beta testing options have started showing up again for users on version 6.7.12 of the Play Store. 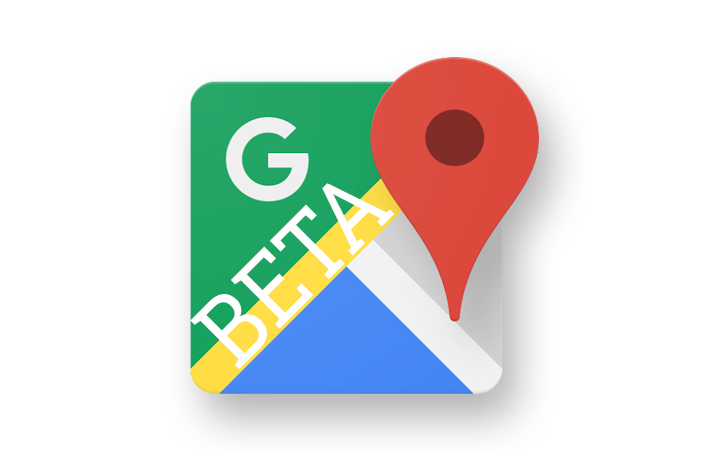 There's a Google Maps beta channel on the Play Store now, and you can sign up for it at this link. You can also download the new APK, version 9.27, directly from APK Mirror if you prefer, right here. We're still rooting around in the app to see if there's anything new, so let us know if you find anything! (Remember, Maps was also updated last week to v9.26.1, so anything from that update is not new). Also remember that if you're running the Android N preview, you already have Maps 9.30, and so this 9.27 APK will not install over your existing app, as it's a newer version. If you're around the same age as me, you fondly remember playing the Pokemon Trading Card Game (TCG for short) for hours in middle school. Or more accurately, you remember watching all the other kids play it because your parents couldn't afford to buy 10,000 licensed pieces of cardboard just so you could get a shiny Blastoise. (It's OK, I played the Game Boy Color version for vicarious thrills.) 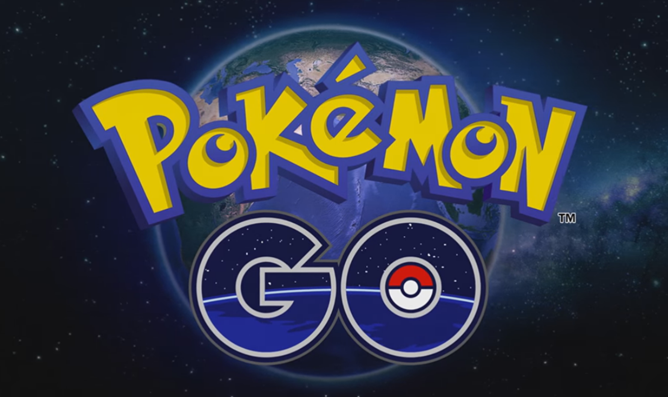 As it turns out, the Pokemon card game is still rolling along with a huge following, and now there's even an online digital version. 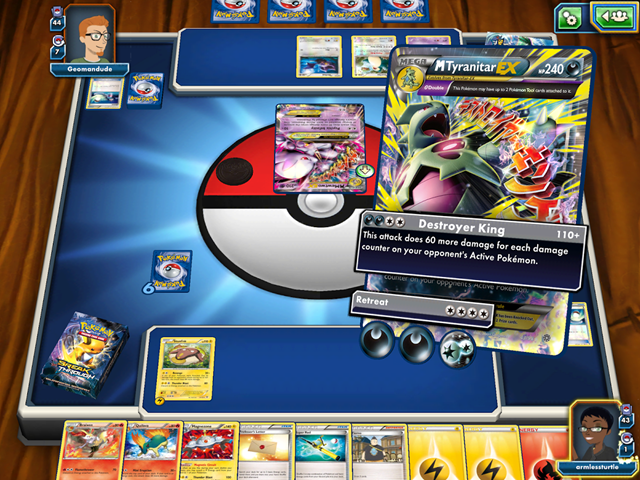 Yes, that's a video game based on a card game based on a video game - try to keep up. Google is always making little tweaks to its apps, and now you can get an early look at some of those tweaks by beta testing the Google app. That's the one that powers the Now Launcher, Google Now cards, Now On Tap, and more. Just a few clicks and you're in the exclusive beta testing club. There's not much to see yet, but who knows what the future holds?